Our friendly staff will help you with anything you need and make your visits pleasant and efficient. Dr. Khetani and our staff are dedicated to providing you with the best quality treatment in a caring, friendly environment. We will make sure all your needs are taken care of from the moment you step through our door. Dr. Khetani is very caring and will consult with you about your goals and concerns. 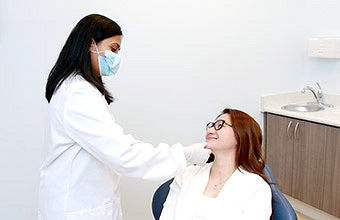 She will perform a comprehensive oral exam and will carefully explain your treatment options so you know what can be done to improve or maintain the condition of your oral health. 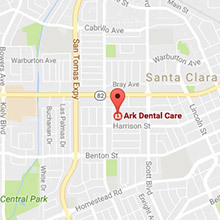 Our friendly staff will greet you and welcome you to our practice. 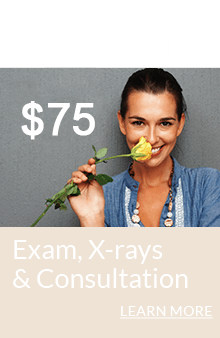 They will help you fill out the needed paperwork and will answer any preliminary questions so you are comfortable and prepared to see the doctor. Our portable digital X-ray device emits 80 percent less radiation than traditional film X-ray equipment. We will first take digital X-rays to help us get a complete picture of your oral condition. Our digital X-ray equipment emits only a small fraction of the radiation transmitted by conventional X-ray machines, and the images are available in seconds. Digital images are also much sharper than film X-rays, making diagnosis faster and more precise. 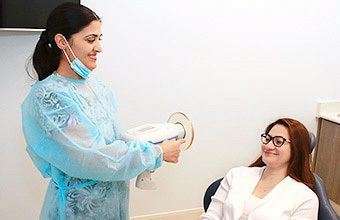 Dr. Khetani is very interested in your dental goals and concerns and will listen attentively to what you have to say. She will make sure to pay close attention to these things in your examination. Dr. Khetani will perform a comprehensive oral exam. 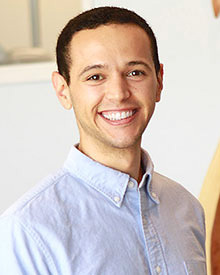 Dr. Khetani will conduct a comprehensive oral exam which includes a thorough inspection of your teeth, gums and mouth. She will look for signs of gum disease, and will look at your X-rays to see your jawbone and the insides of your teeth. She will closely inspect each of your teeth for chips, fracture, wear and decay, and will also check the alignment of your bite. Dr. Khetani will present her findings to you and will discuss your treatment options in detail. She will answer any questions you have so you can make a well-informed decision about your treatment.